The big challenge today is simplifying the complex business strategies and redefining sales compensation models as per geographies and types of business, according to a panel of experts who discussed ‘new age sales compensation models’. 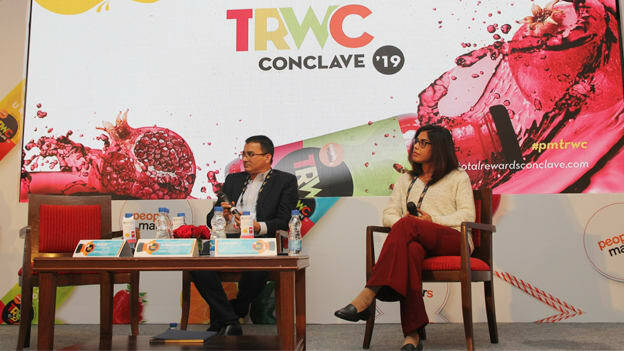 Sales compensation is the most emotional subject and it directly impacts the topline and bottom line, says Subhalakshmi Ganguly, Director, Global sales Compensation and Total Rewards, Asia-Pacific and Japan, Lenovo. Sales compensation requires extensive brainstorming and discussion with all business leaders. When we talk about sales compensation there are different aspects and different zones. Large organizations which have gone through different stages in the lifecycle from incubation to transformation to performance zone have a different level of maturity. Referring to a book Zone to Win, written by Geoffrey Moore, Ganguly says the book clearly defines different aspects of sales compensation including how different businesses are in different zones with maturity levels. When it comes to startups, Moore advises following milestone based rewards. And it is not about revenue or profits, the milestone could be about the number of stores the startup opened up. But when you have started to assess the market better and ready to take the next step for your business, growth becomes more important than profit. This is the time when you have to take a look at your sales management systems in terms of processes. This is also the time when you have to start defining processes that will define what is good or bad for you, which market should you launch your product to, and so on. And there is another type of organizations which are already reaping the benefits from the entire sales organizations. Here revenue becomes more important. This is the time when you think about what to do with the money you brought in. Here comes product innovation and reinvesting the money to grow the business. It’s a journey and there is nothing wrong and nothing right about it. When Mohan Sitharam, Chief People Officer of Subex, (who was the session chair) asked about do you trade off bottom line with the top line and when should a business shift from topline to the bottom line? Ganguly says there is no clear demarcation. You have to define the objective as to whether you want to acquire new customers or to focus on customer service. Subir Chatterjee, Practice Leader – variable compensation, SPX Flow says, if you talk to top management about sales organization, they will talk about issues like supply chain and product related issues. However, the big challenge actually is simplifying complex business strategies and redefining sales compensation models. Mohan echoes the same views, “adding we have made different compensation models but we realized that at the end of the day the sales team need to clearly understand what is he going to get paid for. When you build a compensation plan, make it simple while keeping in mind the market conditions you operate in.” While everyone across the region will have different targets, make sure you don’t keep adding rules on top of it, adds Subir. For instance, revenue isn’t enough, let's focus on profitability and then you add another layer called customer service. You should not keep adding KPI and then the KPIs have other rules. Make it so simple that when sale team goes through it, it’s clear for him to understand his target and his earnings. When Mohan asked Ganguly if Lenovo has different flavors for different markets. She says, we differentiate the drivers or motivators. For instance, in APAC we have advanced markets such as Singapore and Hong Kong and there are markets otherwise. What we differentiate is the driver or motivator. The motivator comes in the form of salary range. The expectation is more from the emerging market than a mature market because in emerging market you grow faster. The hunger for doing more is always there as well as the career progression is more in emerging market. The acceleration that we put on a sales plan used to be typically higher in the emerging market compared to a matured market. However, there could be geography specific nuances. But over time as consolidations happen and we see more synergy in terms of business models, I think the companies’ pay philosophy overtakes those geography specific nuances. When Mohan asked about how you take care of motivation part of employees, “there are regional differences based on cultures. For instance in North America, we can have a tradeoff between fixed and variables very easily but in Nordic countries, you can’t trade off between fixed and variable,” says Subir. Coming to India, if you look at total compensation, in terms of fixed we are on the lower side. Our surplus income is very low and our lifestyle is not up to the mark. “Give me more variable, because I like taking risk-reward for the risk I take but don’t compromise on my fixed,” adds Ganguly. And this not prevalent not only in eastern part of the of the world, Ganguly said, “I think culture is converging and you can enforce this rule when you go to a sales to non-sales person and vice versa. But in some countries, this is not allowed. When Mohan asked about how technology has changed when it comes to tracking sales compensation. Because, Mohan says, “in my organization, my analytics tells me about what each sales guy are doing about his performance in countries such as Mexico, India and in other countries. I get to see these data on a monthly basis which helps me understand their performance.” Ganguly replies, when a company grows in the spirit of its entrepreneurship and reaches a critical mass they need a tech refresh. But the challenge is about the mindset of people to embrace change. Having said, tech for sure helps to track data in terms of performance. Both organizations and individuals get to see details of each and every person with regard to performance, areas he is lagging and so on. Also, from a strategic business point of view, you can track whether a sales plan is working and whether it needs an amendment. Now there are different types and stages of tech adoption. Today largely we have reporting-based analytics which collates data from different systems and business functions. Mature organizations go for advanced solutions such as predictive analytics which can help a seller focus on a particular set of products which are giving more profits. That’s a journey that organizations would want to take. Adding to this, Subir says, technology has changed our lives a lot better. Today we have solutions like SAP HANA which can help put together all data which in turn sales manager become more effective. Mohan says, most of the companies today are comfortable deploying analytics to track the sales progress.